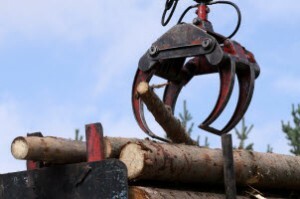 Clearing a piece of property of all trees and shrubs sounds like a good job for a tree service company, but you might be surprised to know not all of those companies offer this level of service. Many tree service companies are content to trim trees, cut down diseased ones, and grind the occasional stump. Clearing a lot is a much bigger task than that, and many companies simply don’t have the resources to perform the job. What Will a Tree Clearing Company Do? Once you do find a tree service company that can clear a lot for you, it’s important to know what specific services are included in the price. How far will the company go to clear and level the entire lot? Be clear on all of those details before you agree to anything, or you might find yourself with a lot that really isn’t cleared at all. Felling all of the trees on the lot is the first big step in clearing the property. Branches should then be removed from the trunks and turned into mulch. The trunks should be cut into manageable sized logs and hauled away, if you don’t wish to keep them. If you opt to keep the logs, expect them to be stacked neatly. Tree stumps left in the ground will create major obstacles for any construction crew. That’s why your tree service company should be happy to grind all those stumps up for you. Shrubs should be pulled up and also mulched. All of that mulch should be hauled away from the property, if you don’t wish to hang on to it. The lot should then be graded to even out the surface and help prepare it for the construction crew’s arrival. What Does the Tree Company Quote Include? If you are lucky enough to find a tree service company that also clears lots, make sure these tasks are included in your quote. You don’t want to have the company cut down trees, make piles of logs and wood chips, and then leave the mess for you when they are done. A full-service company will handle the whole clearing project from start to finish, and will make it easier for your building company to get to work. You don’t have to search high and low all over town for a tree service company that will take care of you. 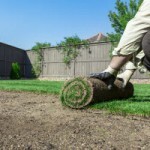 Su-Tree has been providing property owners with full clearing services for more than 25 years. We train our crews to do the job right every single time. They have access to the best equipment and tools for whatever your project requires. Our commitment to total customer satisfaction means that we don’t take shortcuts, and we never leave a job half done. Call Su-Tree at (404) 392-6935 for a free estimate on clearing by the top tree service company in the area.